Leading safety culture effectively in your organization can be an uphill battle. It requires a set of skills that aren’t often taught in EH&S programs, and those who set out to lead the way are often surprised at the level of resistance they encounter. Leading safety culture brings its own unique challenges. And it requires a combination of safety culture training and safety leadership training to build real-world skills for meeting those challenges head-on. Now, you can bring our “From Compliance to Culture” safety leadership training in-house and let us train and develop your leaders, supervisors, safety officers and safety coaches in a way that is tailored to your environment! Visit our Onsite Safety Leadership section for more details. If you have a large Spanish-speaking employee base, you may want to consider our “De Cumplimiento a Cultura” Safety Leadership Training en Español! 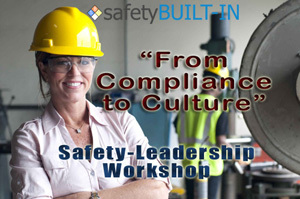 Need the skills for leading safety culture as a smaller group or individual contributor? 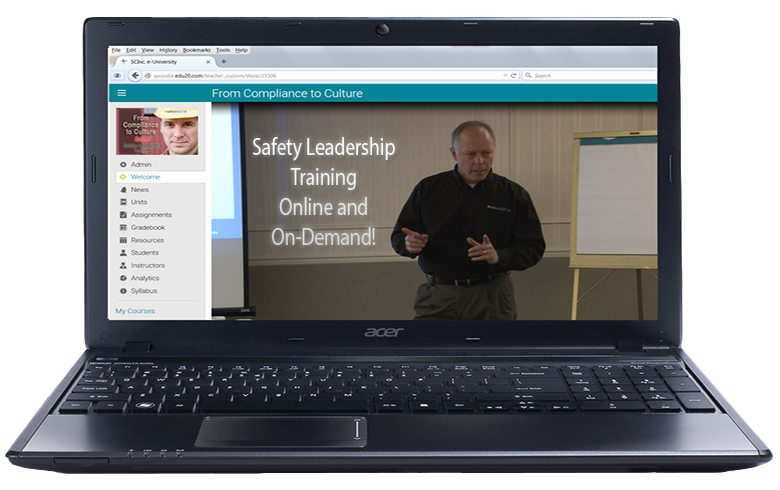 “From Compliance to Culture,” our most popular safety culture training workshop, is also available as online training! Perfect for one-off operations and production supervisor training, safety officer training, or as a safety supervisor course. Visit our Online Safety Leadership section for more details. Occasionally we schedule and hold public sessions of our workshops. When we do, we’ll announce them here! Session Description: This two-day workshop is targeted to those in leadership (or perceived leadership) roles in the organization. In addition to production/operations leadership (team leaders, supervisors, managers, and directors), all designated safety team-members, safety officers, supervisors, and safety-committee members should also attend this session. As space permits, it’s also recommended to include key leadership from the corporate side to begin spreading the same culture throughout the entire company. What do we think and believe about safety? Safety leadership training is the starting point for improving safety culture, but it’s not the end game. Training must be followed by on-the-job development to make that training stick, and one of the best ways to do that is through filed coaching. Field coaching reinforces the new skills leaders acquire through training to ensure those skills turn into competencies. To learn more about our field coaching program, please visit our Safety Leadership Coaching section.